New York City boasts some of the hottest comedy clubs in the world. Known as a national hotspot for comedy, the city lays claim to some of the most frequented clubs in the United States. But while there is a litany of establishments across the city, only one can claim to be the most storied: Upper East Manhattan’s crown jewel, Dangerfield’s Comedy Club. The longest running comedy club in New York City—and perhaps in the country—the establishment is one of the most exclusive and most storied in the nation. For fifty years, the club has provided NYC residents with game-changing standup from some of the best comedians in the business. In this guide, we’ll tell you everything you need to know about this long-standing and highly influential club. From history to important figures, we’ll take an in-depth look at what Dangerfield’s is and what this legendary establishment can offer you. With this being said, let’s dive in and examine an intimate portrait of one of New York City’s most illustrious comedy clubs! At the time, Dangerfield had already established a name for himself by touring the country and performing standup. With performances on “The Dean Martin Show,” “The Merv Griffin Show,” and “The Tonight Show with Johnny Carson,” the young comedian had nearly become a household name. The nomadic comedian rapidly emerged as one of the United States’ top comics. When his wife Joyce Indig died from illness, Dangerfield decided to settle down so that he could provide his two children with a more stable upbringing. The loss of his wife and the responsibility he felt toward his children drove him into his partnership with Bevacqua, and the two men decided to set up permanent shop on First Avenue in New York City. As such, it can be said that Dangerfield’s—which has provided laughs, fun, and jokes to guests for the last fifty years—was born in part out of grave necessity. When the club opened its doors, Dangerfield would serve as the night’s headline act, a tradition the comedian continued for years. It was at Dangerfield’s that the comedian solidified his greatest punchline and his motto, “I don’t get no respect.” For over thirty years, Dangerfield would dedicate his life to the club, which would grow into one of the most respected joints in New York City. In the years since opening, the club has featured a wide range of established comics, such as Tim Allen, Chris Rock, Carrot Top, and George Carlin. Today, the club features only established top comics—there’s no room for amateur’s on the big stage. And though Dangerfield has been dead for the last fifteen years, the club is still owned by partner and original co-founder Anthony Bevacqua. When the two men opened Dangerfield’s in 1969, they did so under an agreement: Dangerfield would own 90% of company shares, while Anthony “Babe” Bevacqua would own the remaining 10%. Still, it only took six years for Dangerfield to sign over a majority of the club’s ownership to Bevacqua, who since 1975 has maintained a 75% ownership of the club. Today, the club bills Bevacqua as “the man who makes it all possible.” With nearly fifty years of effort, the man has been able to turn Dangerfield’s into one of New York City’s greatest hotspots for comedy. Under Bevacqua’s leadership, the club has tightened its reputation as an exclusive joint with top-of-the-line talent. This makes Dangerfield’s one of the top comedy clubs for comedy enthusiasts and for anyone looking for a good laugh. With this in mind, let’s take a more detailed look at what you can expect from this storied comedy club. When guests first walk into Dangerfield’s, they may be taken aback. The club, which is billed as a must-see comedy destination for humor enthusiasts around the world, still maintains that grungy edge it did when it first opened. The room is lit by small, orange table lamps presented on every table. The atmosphere is intimate, personal. Guests have the option to scrawl their own messages on the covered lampshades in front of them. A quiet mumble fills the air until someone takes the stage. Then, words turn into laughs as all eyes dart to whichever star comedian is holding the mic. Every night, audiences from across the country file into the club to take part in a comedic event they can’t obtain anywhere else. Truly, as the only comedy club associated with top entertainment celebrities, Dangerfield’s has earned landmark status and distinguished itself among other NYC clubs. Over the years, several high-profile names have performed at Dangerfield’s. Jim Carrey, Jerry Seinfeld, Tim Allen, and Jay Leno are just a handful of the exclusive names that have chosen to take their talents to the storied NYC comedy club. Ever since Dangerfield’s first act at the joint, which was performed in front stars such as Joan Rivers, the club has maintained an air of exclusivity. 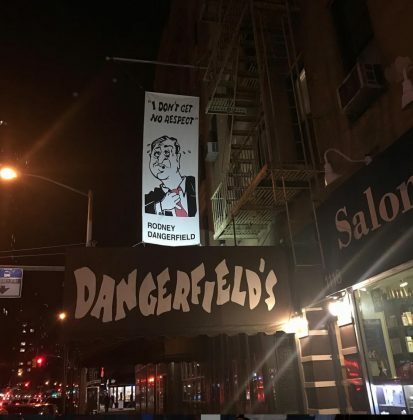 The message at Dangerfield’s is simple: “no amateurs allowed.” By providing guests with only established names in the business, Dangerfield’s continues to make itself a hotspot for NYC comedy. Today, Dangerfield’s still offers daily star-packed lineups that make the perfect setting for any comedy enthusiast or casual observer. For years, Dangerfield’s served as the filming location for several of HBO most prominent comedy specials. In doing so, the club established itself as a national brand and household name among serious comics. Today, some of the most famous comedy specials ever filmed were filmed at Dangerfield’s, adding to the club’s history and exclusivity. Despite being the longest running comedy club in the world, Dangerfield’s shows no signs of slowing down. With packed tables every week and the ability to attract both A-list comedians and star-studded audiences, the club has positioned itself squarely at the top of the national comedy market. Today, the club promotes its “Character Flawed” event, which brings in star talent from across the country. The event features seven different headliners from HBO, Conan, VH1, MTV, Comedy Central, and the Tonight Show. As such, performance is one of the most exclusive in all of NYC comedy. Customers looking to attend one of the hottest shows featuring some of the most iconic comedic talents in the country should make Dangerfield’s their club of choice! Open seven nights a week, Dangerfield’s still proves one of the most frequented comedy clubs in all of NYC. The establishment maintains a half-century legacy that raises the level of NYC comedy. Dangerfield’s is able to accomplish this by showcasing only the best regional and national talent. As such, there are no open mic-nights at Dangerfield’s. When you go, you know you’re in for a critically-acclaimed show. This distinguishes the club from other joints and fulfills the Bevacqua’s vision. 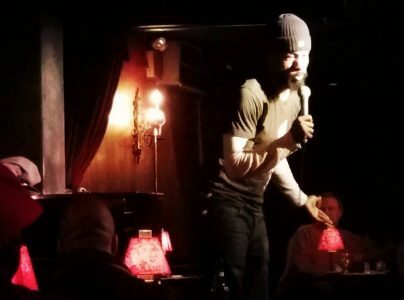 The long-time owner of the club has stated, “I like to think that my existence has provided a positive contribution to mankind and particularly to the comedy world.” By elevating the standard for comedy at Dangerfield’s, Bevacqua has helped set the bar for what good comedy should be. And in a world where cheap comedy and amateur nights are increasingly common, this makes Dangerfield’s a breath of fresh air. For those looking for a genuine night of good-natured fun, this landmark club in the heart of New York City should be at the top of the list. With all this being said, why should you visit Dangerfield’s? There are plenty of reasons to visit this storied club. Let’s take a look at a few of them. Dangerfield’s has been offering genuine comedy for the last fifty years. That’s a half century’s worth of laughs from star comedians. For this reason, the club attracts wide audiences from around the world who are looking to participate in the legendary atmosphere of Dangerfield’s. By visiting Dangerfield’s, you are taking part in history. As the longest-running comedy club in the world, Dangerfield’s offers guests the opportunity to participate in the world’s longest comedy tradition. Find out why guests have been coming back to Dangerfield’s for fifty years! With genuine comedy and top-quality service, you’re sure to witness one of the best shows of your life! At first glance, Dangerfield’s is your run-of-the-mill comedy club. Located in a high-rise, the club features everything you could ever ask for in “basement-style” comedy. Dim lighting, packed tables, and a dominating stage make for an intimate atmosphere between audience and performers. But it’s not just the setting that contributes to the club’s intimate mood. Dangerfield’s has kept much of its original staff. Chario Antonio has served as club waiter for nearly fifty years. Since 1970, the Cyprus-born waiter has worked under “Babe” Bevacqua, keeping the club running smoothly and—sometimes—entertaining the guests. This intimate, good-natured setting makes Dangerfield’s perfect environment for guests. Get up close and personal with some of the best comedians in the world! See why guests have been coming to Dangerfield’s longer than any other club anywhere else on the globe. Customers come to Dangerfield’s for one main reason: quality. Simply put, the club offers no space to amateurs. When you come to Dangerfield’s, you’re coming to the most upscale comedy club not only in New York City but in the world. Think of it this way: no one steps onto a Dangerfield’s stage without having an established reputation. This is a tradition carried down from legendary comic Rodney Dangerfield himself. The Dangerfield’s platform is synonymous with high-end comedy. 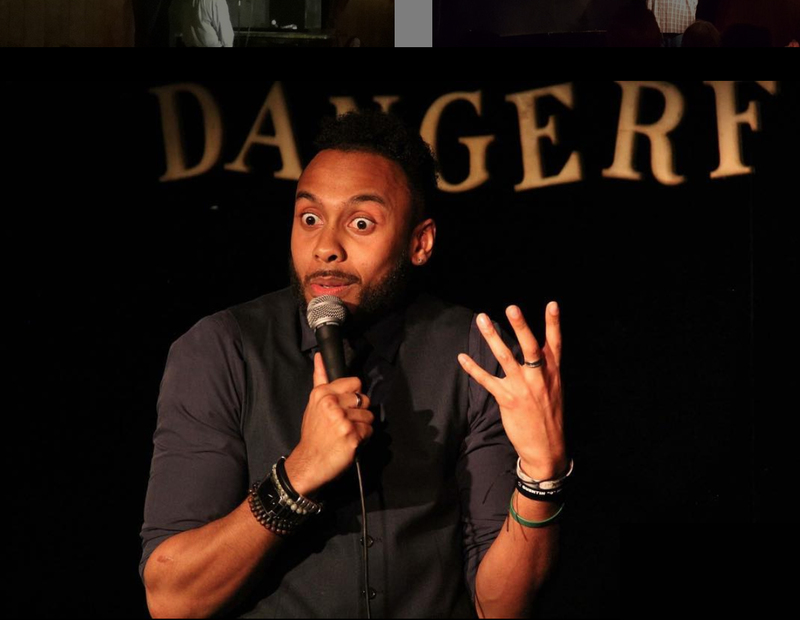 At almost every Dangerfield’s show, you can expect a headliner with extensive experience in national standup. Many of the comedians who perform at Dangerfield’s have performed nationally-televised skits on Comedy Central, HBO, and late night TV. To make it even better, Dangerfield’s frequently features star comedians as part of their skits. This means that you have the potential to see some of the biggest names in comedy on any given day! Unlike other comedy clubs, Dangerfield’s places a high premium on top-name quality. In fact, the brand has built its reputation of being one of the most high-end comedy clubs in the country. What does this mean for you? In short, it means that—no matter what day you go—you’re guaranteed a spectacular stage at Dangerfield’s. Get ready for a top-of-the-line show that you simply can’t get anywhere else in New York City—or the world. 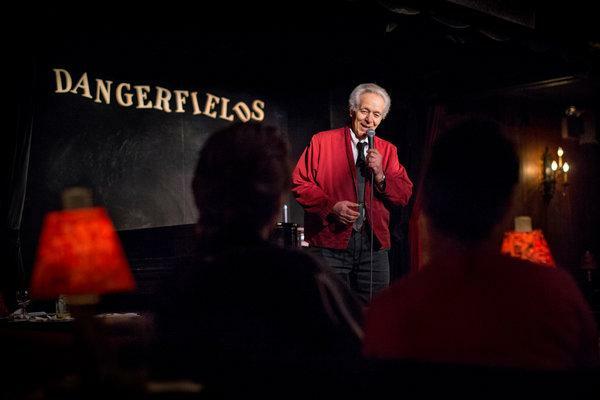 Over the last fifty years, Dangerfield’s has established itself as the premier name in NYC standup comedy. Founded by two of the best names in comedy, the joint remains as committed as ever to provided NYC audiences with an unsurpassed comedic experience. 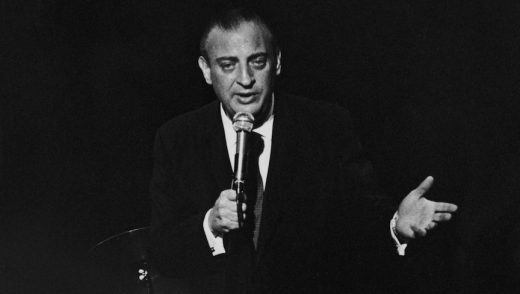 Though founder and namesake Rodney Dangerfield hasn’t graced the stage in decades, the club still carries the visionary comedian’s spirit. Jokes are varied, light-hearted, and far-reaching. Comedians from all walks of life deliver skits that illicit uncontrolled laughter from the audience. After all these years, Bevacqua still knows how to host a good show. Fifty years and counting, and Dangerfield’s shows no signs of letting up. For individuals looking for a good time and raucous fun, there’s simply no better place than Dangerfield’s Comedy Club. Interested? Visit this legendary establishment for yourself! Use promo code Blog20 to save 20% off NYC Comedy Shows.